Vice Chancellor Prof. Furusa engages first year students. 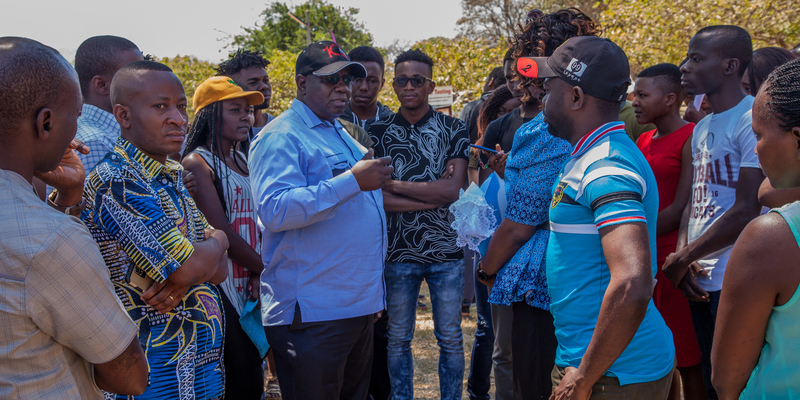 On the 15th of September 2018 Vice Chancellor Professor Munashe Furusa officially welcomed the university’s over 500 first year students enrolled in conventional programmes in the August 2018 intake. Also in attendance were senior university officers including the Deputy Vice Chancellor Professor Mageto, the Registrar Mr. Njonga as well as staff members from across the university who were keen to interact with the students in an unfiltered, open and impactful manner that would build relationships beyond the classroom. The students learnt first-hand from the university administration the vast infrastructural upgrades that are in progress across the campus that include the complete refurbishment of the B- Block women’s hostels, the sports fields as well as the efforts to enhance the student experience through the acquisition of 2 state of the art buses that will ferry students to the nearby city of Mutare as well as trips and outreach programmes that will build the students and the surrounding community. Prof. Furusa encouraged the students to leverage the international nature of the campus in ensuring that they do not leave Africa University without having learnt a language from another country or seizing one of the myriad of fantastic opportunities for regional and international exposure. He said that the greatest gift that Africa University imparts is the ability of cross cultural competence and sensitivity which is a skill that is highly sought after globally. Students and staff were treated to a braai (a tradition at many social gatherings especially across Southern Africa similar to barbeques) where they were able to fellowship and enjoy each other’s company. Alumnus and popular gospel musician Mudiwa “Hood” delivered a scintillating evening performance at a gospel concert sponsored by Africa University Partners Steward Bank bring an end to an eventful and undoubtedly memorable day.